Tons of concrete and basalt brick generate a rich, radiant heat offering an experience that far exceeds traditional saunas. The deeply penetrating heat relaxes muscles and regulates breathing to provide long lasting relief of stored tension. A robust steam brushes over fresh eucalyptus boughs to produce a nourishing, moist 113 degree heat providing significant benefit to the skin and respiratory system. The moist heat decreases respiratory congestion to soothe, relax and ease breathing. The steam also opens skin pores to help the body expel toxins and rehydrate dry skin. 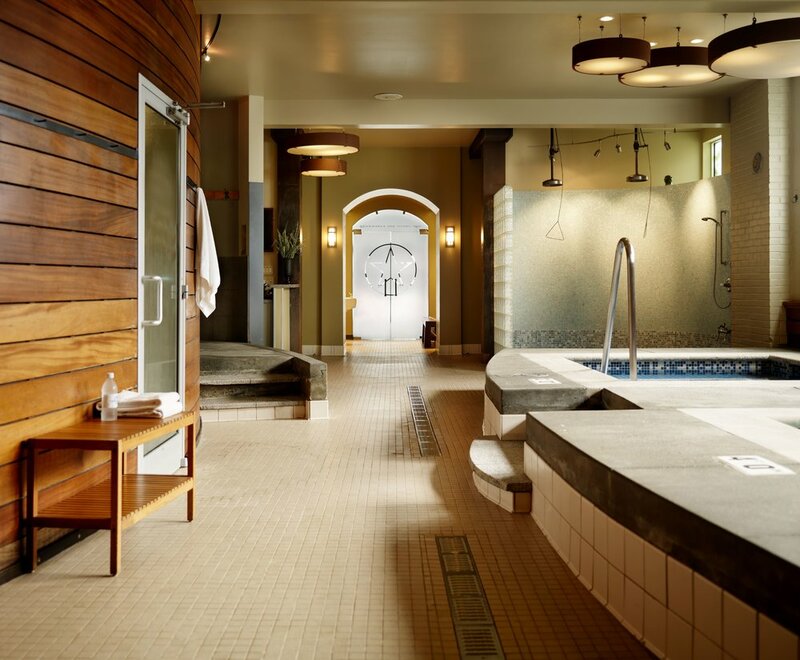 Mimicking the salinity of Puget Sound, the 87 degree mineral salt bath provides many benefits. 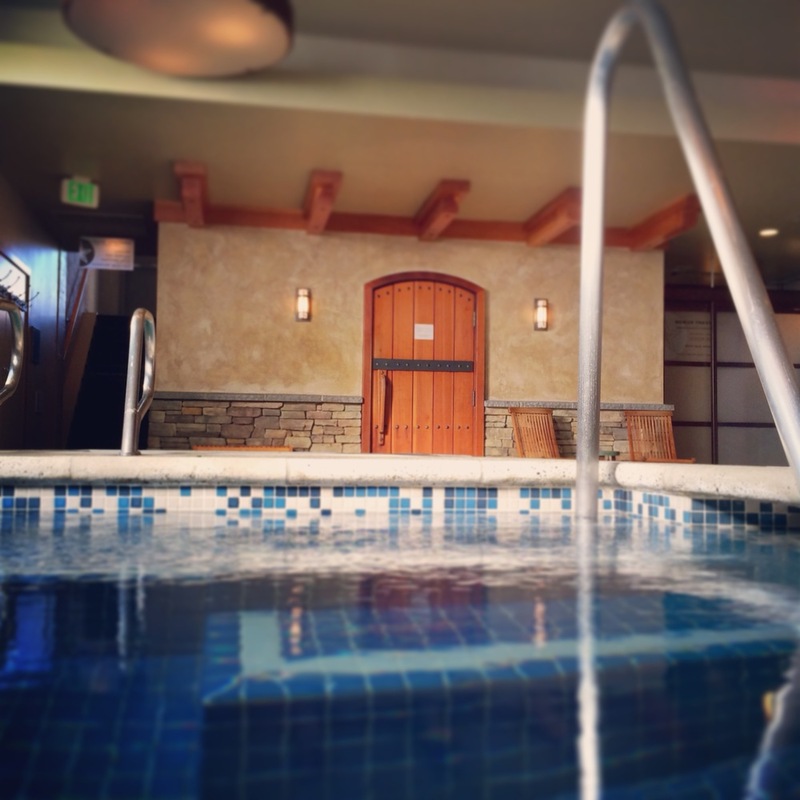 This pool decreases muscle tension and increases relaxation by being “held” in the buoyant, mineral infused water. The salt water also increases the absorption of minerals lost in the sweat while increasing circulation. 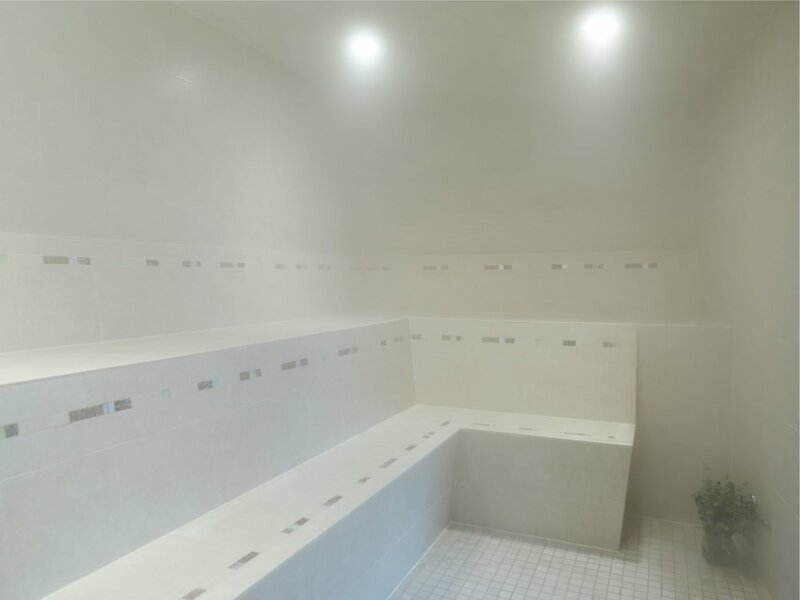 The internal organs are particularly rejuvenated by the contrast of radiant heat and invigorating cold. 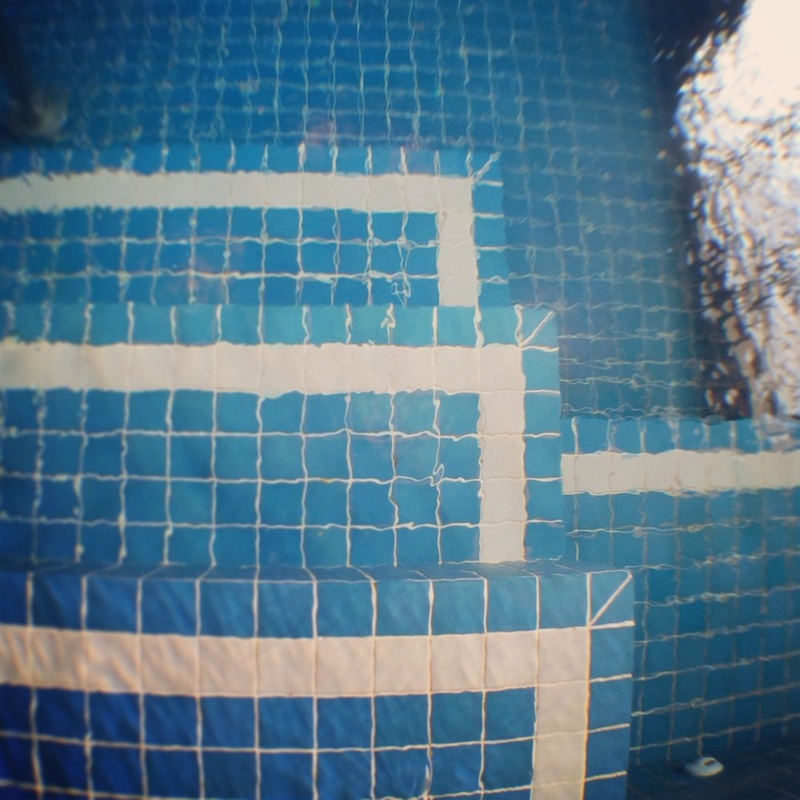 Cold water plunging is an important part of hydrotherapy, greatly benefiting the circulatory system. Immersion in the cold water constricts skin pores and blood vessels that have been dilated from the heat to create an invigorating pumping action of the venous system to flush metabolic wastes and toxins. Powerful hydro jets penetrate joints and muscle groups. 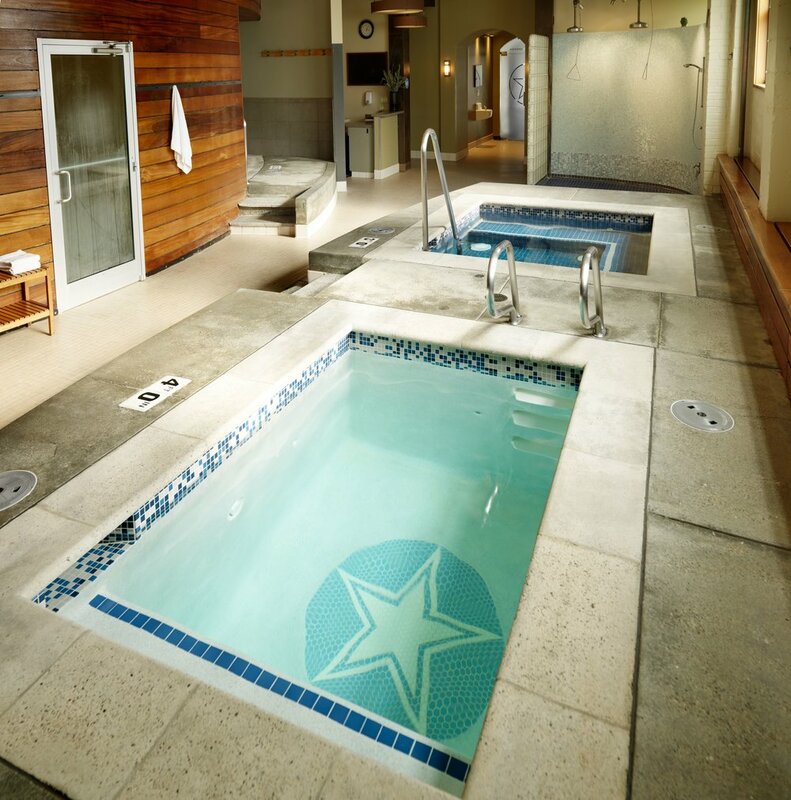 104 degree water soothes the entire body whether you appreciate it for sports medicine benefits or simply relaxing. 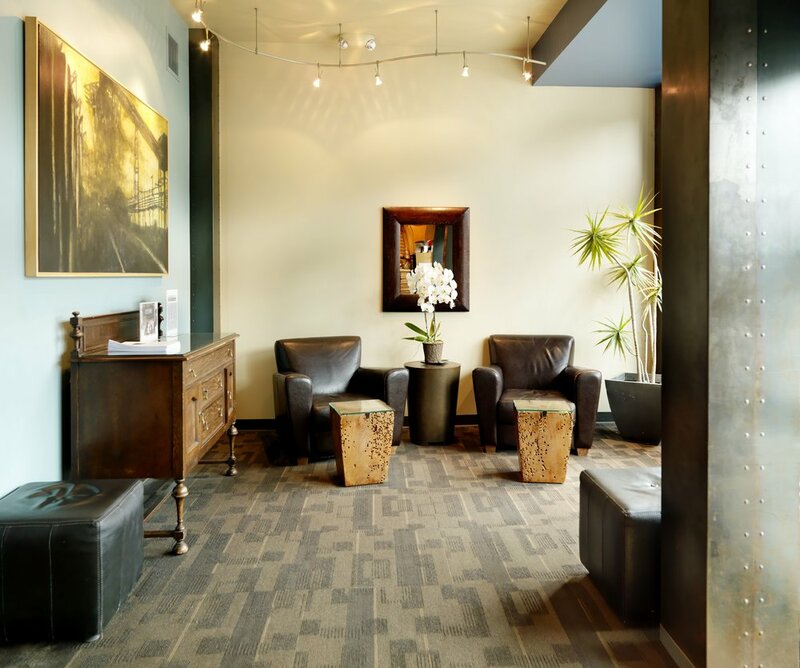 Complimentary custom blended herbal teas and lemon water are provided in this relaxing escape from the heat, cold and steam therapies. Read, play board games or just relax before preparing for one of our specialized body treatments or simply returning to the spa area for another round. For a more serene environment, you can stretch or just relax in our nap room.